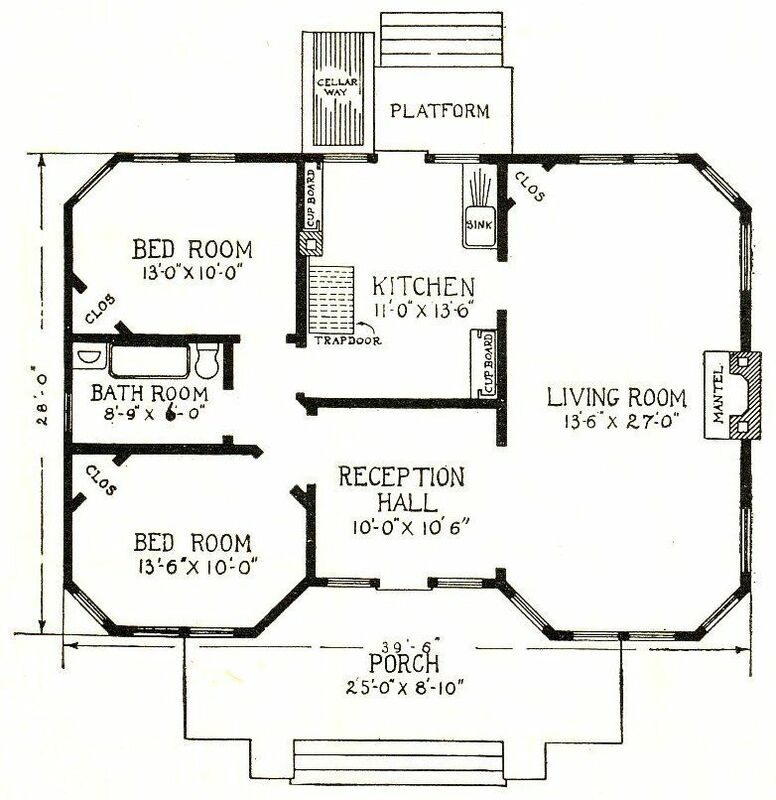 Modern Home #126 appeared in the 1908 Sears Modern Homes catalog (which was the year Sears opened their Modern Homes Department). 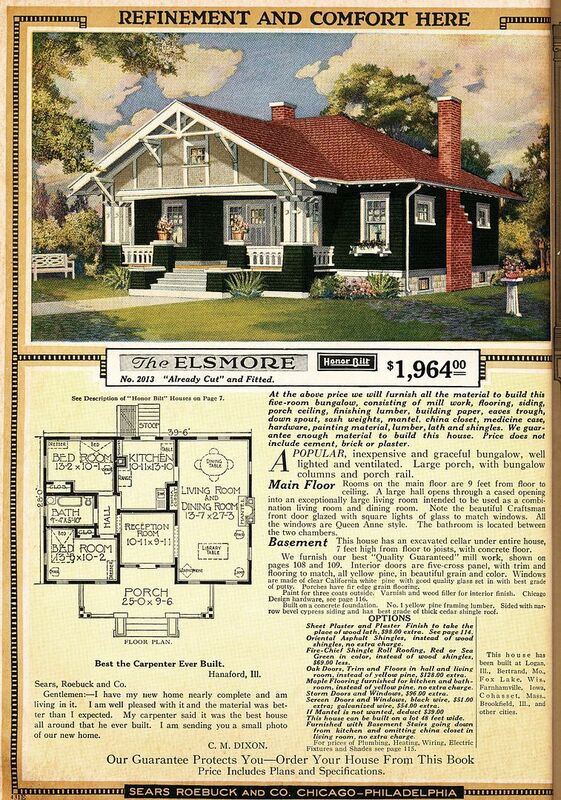 By 1914, it shared a page with its fraternal twin, The Sears Elsmore (then known as Modern Home #208). By 1916, Modern Home #126 was gone. In March 2002, The Houses That Sears Built hit the world and in a desperate bid to promote the book (and the topic), I did a survey of nearby Webster Groves, Missouri. (I was living in Alton, Illinois at the time - just across the Mississippi River from Webster Groves). After doing the survey, I contacted several folks in Webster Groves and talked them into allowing me to give a lecture at the Webster Groves’ Library. Those were good times. It was my first “big” talk and was promoted in a local paper. We had about 80 people show up at the talk and 40 of them purchased a book! As I said, good times! 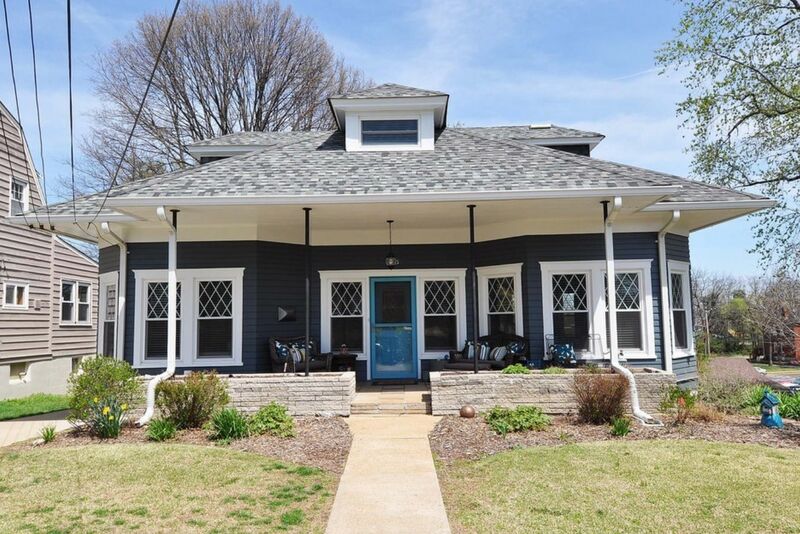 It was during that survey of Webster Groves that I found Modern Home #126. 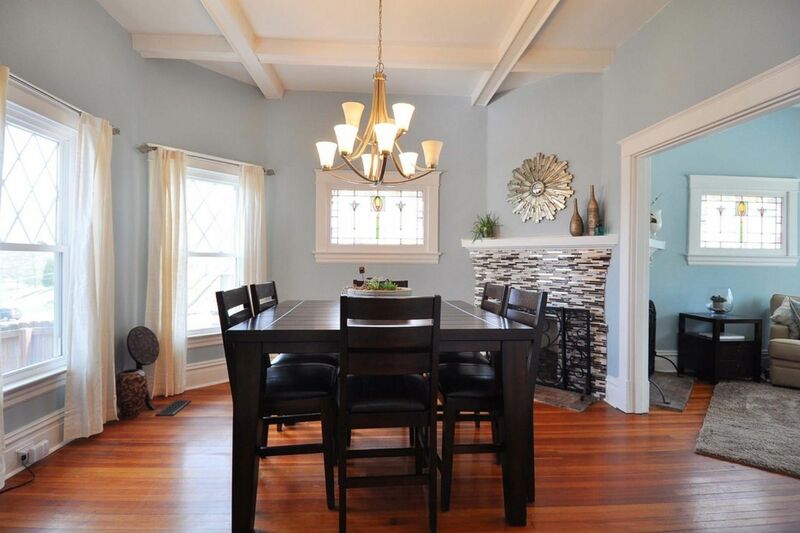 Rachel Shoemaker sent me a link to this house which recently sold. Unlike so many Realtor photos I’ve seen, the pictures of Modern Home #126 are beautifully done and in focus! Thanks to Circa Properties of St. Louis for allowing me to borrow these photos! You can visit their website by clicking here. To read about the Sears Homes in nearby Kirkwood, click here. Did you know that Ferguson was the first city to hire me to do a survey of kit homes? I’ll always be grateful for the kindness of the people of Ferguson. 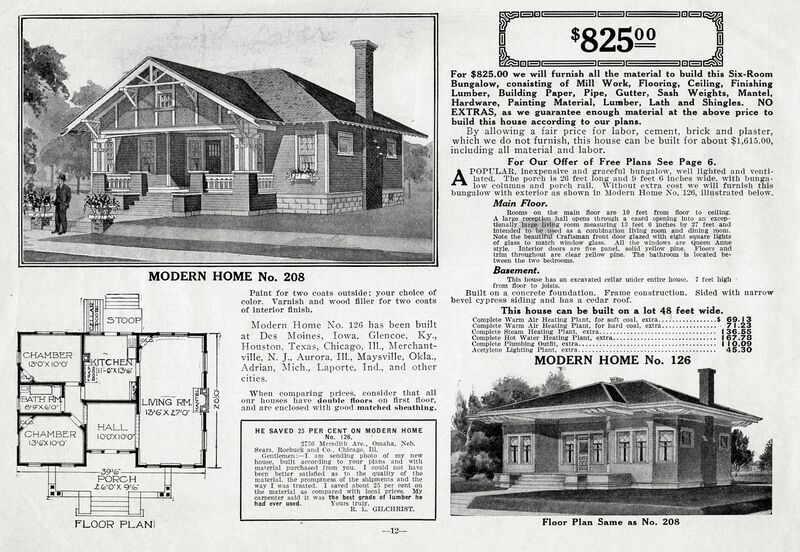 Modern Home #126 appeared in the first Sears Modern Homes catalog (1908). 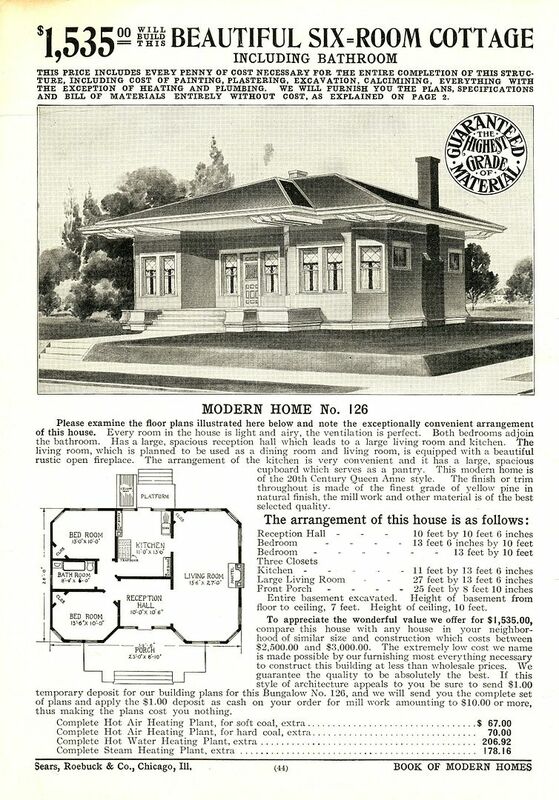 By 1914, Sears Modern Home #126 was relegated to sharing a page with the newly offered "Modern Home #208" which would later be known as the Sears Elsmore. By 1916, #126 was no longer offered. The Sears Elsmore became an immensely popular house for Sears (1921 catalog). 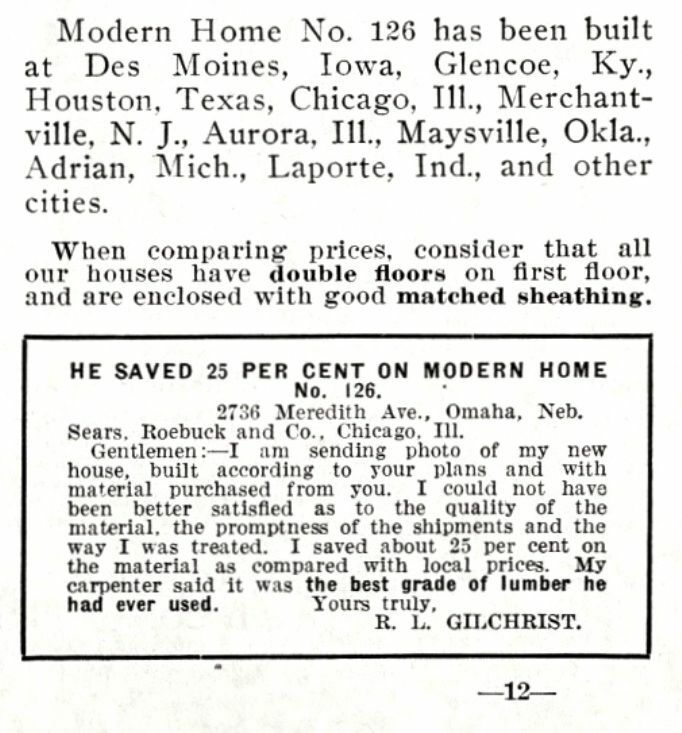 And yet, Modern Home #126 had been a popular model (judging by the testimonials). The two homes shared a floorplan that was very close. Perhaps do-it-yourself kit home builders didn't appreciate those chamfered corners on #126. Plus, the closets in #126 are a bit odd. Those chamfered corners and over-sized eaves do create a unique and dramatic appearance! 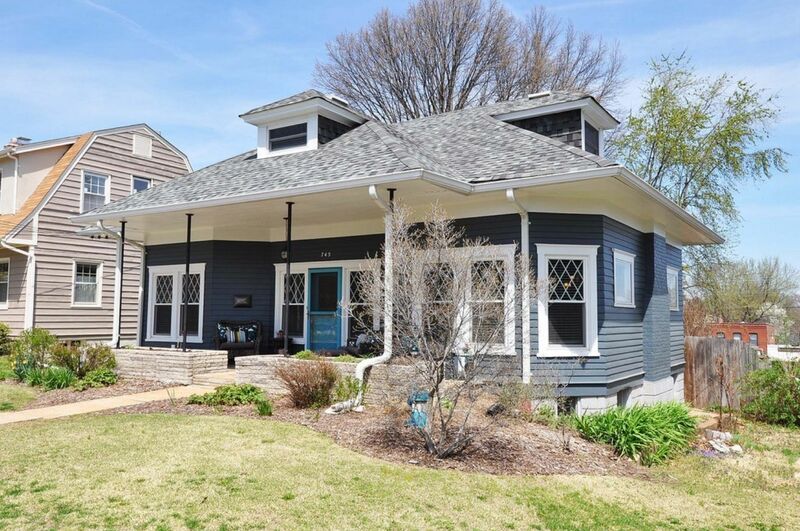 And here's Modern Home #126 in Webster Groves, one of my "first" discoveries! 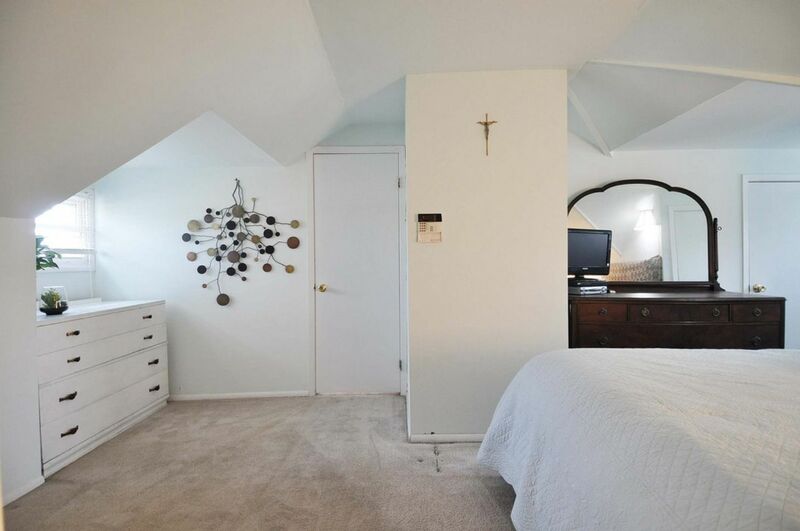 And major kudos to the Realtor for snapping this photo from the right angle (to match the catalog page). And what a sheer joy to see that this fine old home still has its original "eyes" (windows) and siding! Can you imagine how it'd ruin the look of this home to put in some pedestrian vinyl windows? What a fine-looking home it is. Do the owners know that it's a Sears House? This one, I'd say "maybe," because it was featured in that talk I gave in Webster Groves, so many years ago. 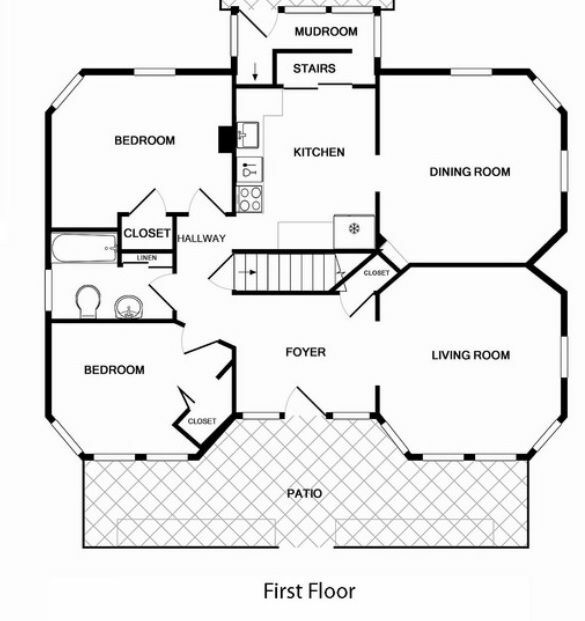 The floorplan featured for this listing shows it's a pretty good match to the old catalog image. 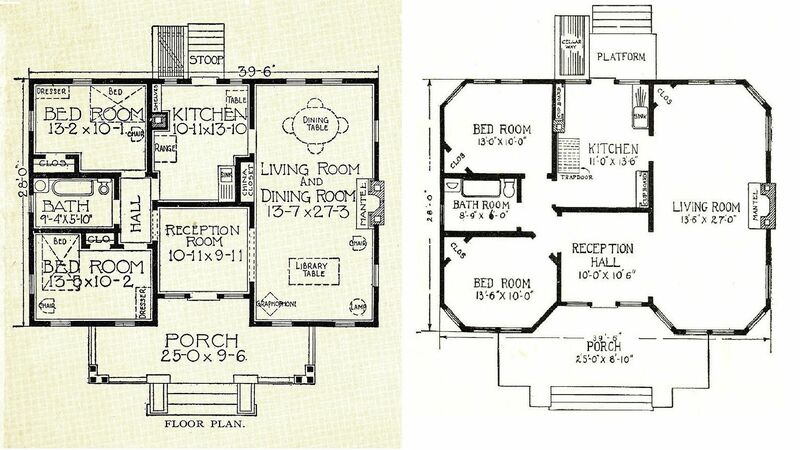 The minor changes shown above (bathroom modifications, closet enlargement and added staircase to 2nd floor) could have been done when the house was built or in later years. Houses do tend to get remodeled a bit through the years. 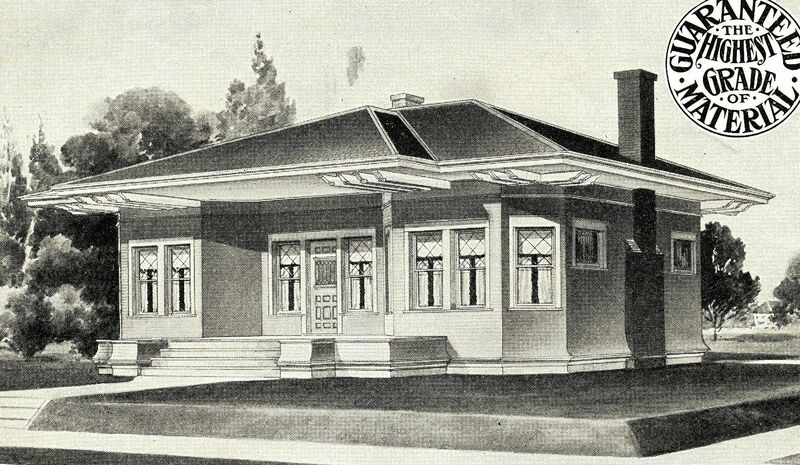 Modern Home #126 from the 1908 catalog. The interior of the Webster Groves #126 is also stunning. The upstairs seems quite spacious. Those four small dormers add a lot of light to the room. I'm inclined to think that this 2nd floor was done when the home was built but it's almost impossible to know for sure. This house is now 100 years old or more. Here's another lovely #126 that Rebecca Hunter found in Quincy, Illinois. It also has its original windows and siding (stucco). 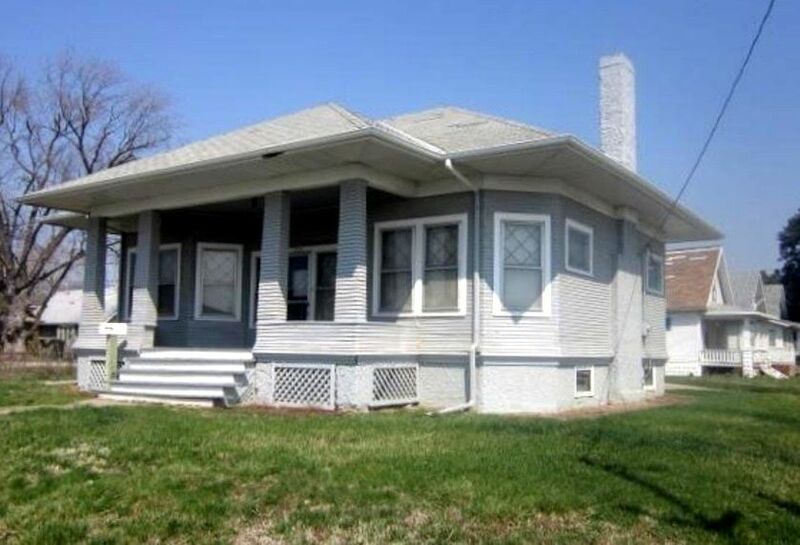 I find it most interesting that, without exception, every #126 I've seen has had columns or pillars added to that over-sized front porch overhang. Photo is copyright 2008 Rebecca Hunter and may not be used or reproduced without written permission. 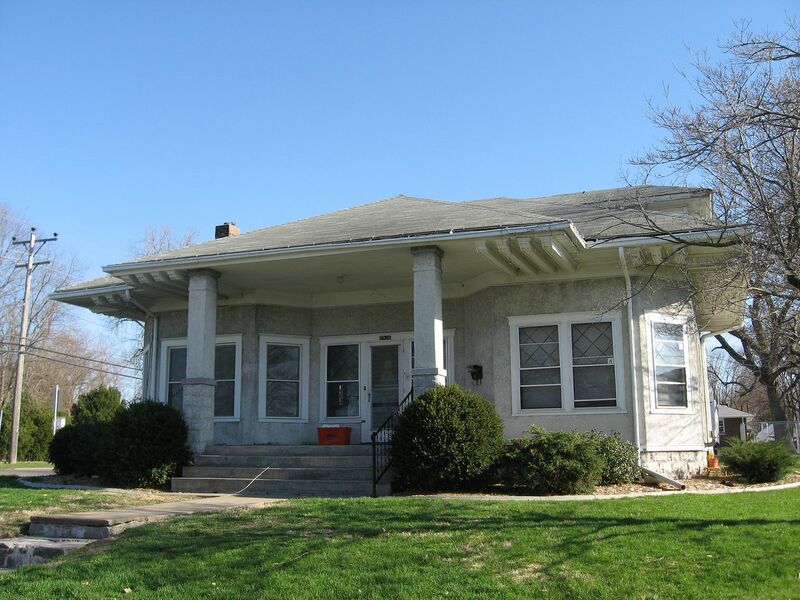 Lastly, here's Mr. Gilchrist's Modern Home #126 at 2904 Meredith Avenue in Omaha, Nebraska! Photo is courtesy Douglas County Assessor's website (and they don't even KNOW how courteous they're being in sharing this image)! 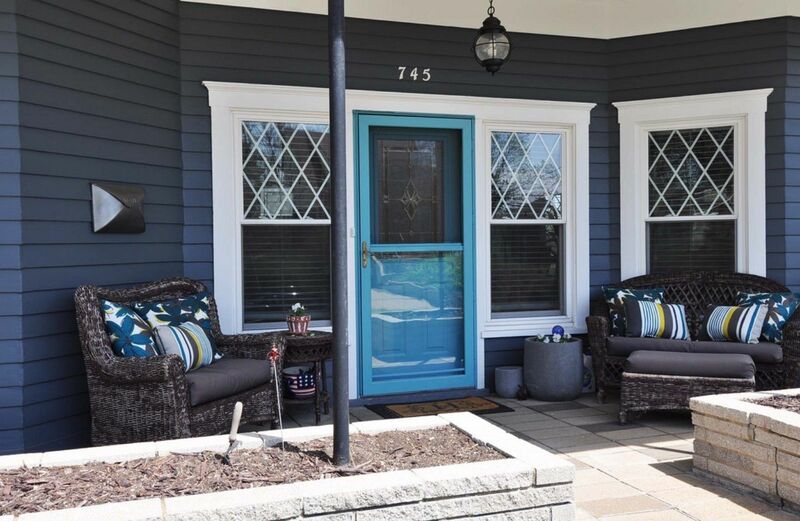 Interested in purchasing a quality home in St. Louis? Visit Circa Properties website here! Check out Rebecca Hunter’s website by clicking here.